Note: Create a party and agreement and use sample file as per it. 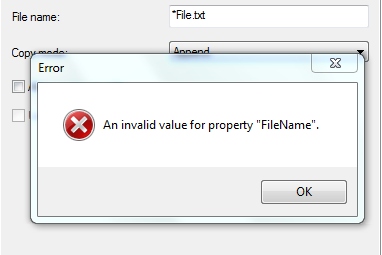 OR Enable EDIFACT fallback settings and configure it and use values in sample file as per it. As EDI receive pipeline first checks Party for the configuration, if no matching party found then it looks up for Fallback settings. In a scenario where the particular element is not present in the segment (input) and if we try to fetch that particular element then following error is encountered. 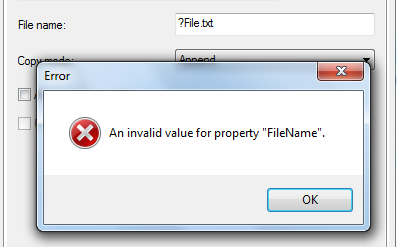 Say, if UNB8 is not there in input and if tried to fetch that data then error occurs. This post is part 2 of BizTalk Server : Fetching UNB and UNG Segment Values From Interchange Envelope and Mapping. Here a variable xmlDoc of type System.Xml is used and its LoadXml method is used to construct the context message. Here we created a intermediate message and populated it with the values coming from EDI Envelope header(which are detach during pipeline processing), so that we can use it multi-input map. Note: Assemblies will only be available for selection if they are present in GAC. 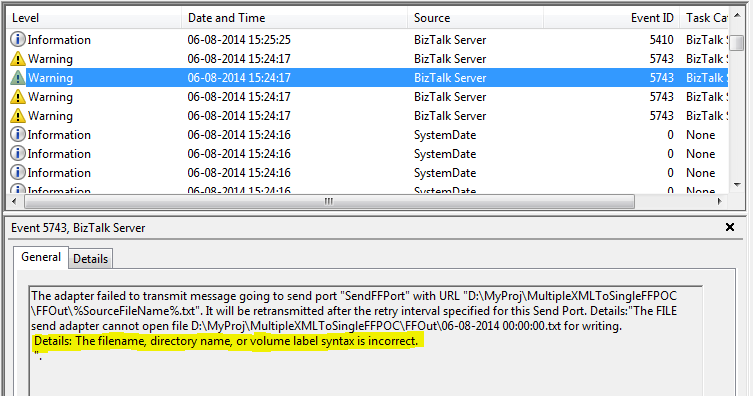 To accept/process an EDIFACT message in BizTalk, EDI Receive Pipeline is used and in it the actual data (message -- UNH to UNT) is extracted after detaching envelope part (header and trailer) and added to message context. Only few UNB and UNG segments are promoted, whereas UNB_Segment and UNG_Segment are written, rest properties are not promoted due to performance reason. This article intends to show how to fetch the individual UNB and UNG segment values using helper class and mapping those to the destination structure. For this walkthrough have considered to use EDIFACT INVOIC which are received and data from it has to be mapped to the destination structure, also Interchange Control and Functional Group Header values. Destination structure can be XML, Flat file or schema generated from database. For this post, destination structure is XML Canonical Invoice. EDIFACT messages are wrapped with envelope, at header it has UNB segment (Interchange control header - Mandatory), UNG (Functional group - Conditional) and UNH (Transaction Set) and at the trailer it has UNZ, UNE and UNT. Enveloping segments work in pairs. UNB-UNZ represents an interchange. UNG-UNE is a functional group inside of the interchange and UNH-UNT is a transaction inside the group. Many times there is required to pass or store the values from UNB (Interchange Control Header) and UNG (Functional group) segments. But this is not part of the data and not all properties from Envelope are promoted or written in the context of the message. Segments have data elements which are separated by element separator, also sub data elements which are separated by subelement separator. In the input sample shown below "+" is the element separator, ":" is the subelement separator and "'" is the segment separator. Sign and Build the project. Make this independent project so that it can be used wherever required without any dependency. Add EDIFACT INVOIC schema (EDI schema is shipped in as a self-extracting executable and when extracted, schemas can be found at drive:\Program Files\Microsoft BizTalkServer2010\XSD_Schema\EDI). Add/Create Output schema CanInvoice as shown below. Add a schema to project (InterchangeContext). Make all four elements as Distinguished field. EDIFACTSegmentValueFetcher.dll (Helper class) : This will help in using the method to split the segment and return individual values. Microsoft.BizTalk.Edi.BaseArtifacts.dll : This will help in accessing the EDIContext properties in Orchestration. Note: EDIFACTSegmentValueFetcher is created as an independent project so that it can be used with other projects wherever required. In an application, it was required to set the file name of outgoing message with the current date. 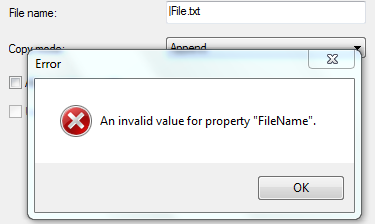 And for that in the Orchestration, I set the FILE.ReceivedFileName context property with the current date. 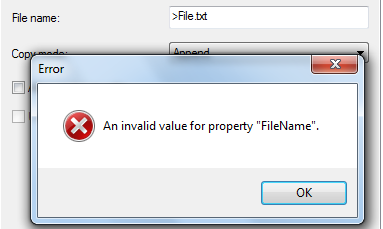 And on send port used %SourceFileName% macro, thus expected was file with today’s date in the Out folder. But while testing, no files were dropped in Out folder. This meant something was done wrong and to find it checked the Event Log, and I see there were no errors instead Warning. Why it happened: As can be seen in above figure, the details of the warning states that there was something incorrect in Filename, directory name. The issue was semicolon(“:”). Semicolon is not accepted as a part of FileName. 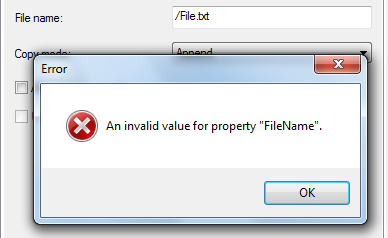 And now the FileName was set as Date only (no time, which had semicolon). What are other characters which are not allowed? To find this I tried with all characters and found some more which are not allowed/accepted. It’s easy or less error prone when setting file name to know what are not allowed, but it won’t be easy if value is set somewhere else. Welcome to fourth interview of the series, today's expert is Sandro Pereira. Sandro works as a consultant at DevScope. His main focus is on Integration Technologies where he have been using .Net, BizTalk and SOAP/XML/XSLT since 2002. He is an active blogger, member and moderator on the MSDN BizTalk Server Forums and Code Gallery contributor. He has been awarded the Microsoft Most Valuable Professional (MVP) award for four consecutive years (2011,2012,2013 and 2014) based on his contributions to the world-wide BizTalk Server community. Sandro is also a member and co-founder of BizTalkCrew along with Nino Crudele, Saravana Kumar, Steef-Jan Wiggers and Tord Glad Nordahl that are responsible for organizing BizTalk Innovation Day event all across Europe. Before starting the interview, I would congratulate Sandro for the success of his Book BizTalk Mapping Patterns & Best Practices. Sandro : My name is Sandro Pereira, 36-year-old Portuguese guy and I’m living in the beautiful Porto region in the north of the country, a place of good food and Port wine. I am a BizTalk Consultant at DevScope (www.devscope.net) and of course I am a community and technology enthusiast, working mainly focus with Microsoft Integration technologies and writing about it in several places: my personal blog, TechNet Wiki, Forums and several other communities’ platforms. Sandro: I started working with BizTalk Server, I think in June 2006 at DevScope as a junior BizTalk Consultant, I started optimizing and finishing some projects in progress in BizTalk Server 2004, and then installing new environments and perform a lot of project migrations to 2006. Which was nice because I was able to learn quite a few things and gave me a vast and important knowledge for what was to follow. Sandro: The reason I love working as an integration is that there is always something new for you to learn so… I’m still learning J. When I started there wasn’t too much information as exists today on BizTalk Server, but I think the learning path is the same as any other technology: by reading books, following some blogs, forums and mainly by don’t be afraid to try and fail. I learned quite a lot by myself working on the field and experience different things in my projects. But in a way I think now is a little easier to start developing and learn BizTalk Server. and integrate the Cloud platform with several internal legacy systems, such as HP Service Desk, billing systems… and other external partner systems. And also implementing outbound and inbound flows, archive and integration of thousands of electronic invoices, orders and status in EDI format with several partners and integrate these documents with SAP ERP system. should analyze the requirements and suggest the best tools/technologies/platform to fulfil them. But I love BizTalk Server and I personal think that in general it is one of the best choice as an integration platform in a heterogeneous environment. But I'm not the best person to compare it with other competing platforms such as TIBCO, however I think that all of them have advantages and disadvantages. Probably TIBCO could have better performance in solutions that require low latency, but again probably will be more difficult to handle long running transactions. may literally means that I have to be able to adapt and learn new things. So in my honest suggestion the best thing that you should learn is to leave your comfort zone and try/learn new things, do not be afraid to try and fail and learn from that experience. You can start with easy things like if you are a BizTalk developer try to spend some time in BizTalk administration tasks or if you are an admin try to developer something by our own. Sandro: Essential resources for any community. article, fix it or add relevant content to the topic, making it always up to date. And again when I started there wasn’t too much information as exists today, the number of resources grew substantially on BizTalk the last couple of years, and I'm not referring only to blogs and articles, open tools, scripts and so on. Last time I check there was 188 projects in CodePlex, 197 demos in Microsoft Code Gallery and 94 in TechNet Gallery. Besides sending a clear messages to the community that BizTalk Server is alive and is here to stay it plays a vital role in the process of training and form new BizTalk developers or administrators but also to improve the existent skills of all of us. Even me when I start to write my own posts or articles sometimes, or several times, I end up learning new stuff that I wasn't expecting, in this way, writing could also be a good way for us to learn new things about BizTalk Server and integration in general. Sandro: Get a book, there are several good books about BizTalk Server; start following some blogs; go to forums, not only to place questions but also for searching for problems; consume the MSDN and TechNet Wiki… and make a lot of samples, virtual labs and work with it. Steef-Jan Wiggers wrote some while ago a Beginners Guide , if you are a beginner you should read that. And also this articles that contain a list of training resources for developers and administrators. Sandro: In general, certification is more valuable to present to clients as a way to "prove" that you have knowledge of the product. But not really a way or an indicator that you have experience and know-how. Your community activity, your projects or endorsements from community members has, in my personal opinion, more value. At the end, not in the next 2/3 years in my opinion, this two platform (on premise and in the cloud) will converge and we will probably have again only one platform that can run on premises and in the cloud. Sandro: Microsoft Azure BizTalk Services is starting and is young, again Microsoft is putting a lot of effort and focus on it, but it still have a long way to run and to become a powerful and mature integration platform. At the moment I suggest to use it to implement hybrid solutions like for example migrate small parts of process that requires low latency to cloud. But I think Microsoft is doing a good job. Sandro: Well good question. I am a very active in the BizTalk community, I have my personal blog where I write an average of 100 post per year: http://sandroaspbiztalkblog.wordpress.com/ , I’m a member and moderator on the MSDN BizTalk Server Forums, TechNet Wiki author, Code Gallery and CodePlex contributor, member of BizTalk Brazil community where I write content in Portuguese, member of NetPonto community , BiztalkAdminsBlogging community, editor of the magazine “Programar ”, public speaker and recently author of the book “BizTalk Mapping Patterns & Best Practices ”. And I do all of this because… I like, writing is a hobby for me and a way to escape the stress of our work and our lives in general. Some persons love to run or playing other sports, others reading and so on. In my spare time: I enjoy traveling; play soccer with my friends; go to the cinema; read technical literature and write mainly in my blog about BizTalk. But a key factor for all of that was José Antonio Silva, R&D Director at DevScope, it was he who encouraged me (almost forced me) to start contributing to the community. One day in mid-2008, he came to my side and told me I had reached a certain level in my career that I should start giving to the community what she had given me all these years and that if I did that, I would start to like it and he was right J. And it is healthy hobby, I don’t consider it work because I have no deadlines or requirements, I’m just playing with a technology that I like and write about it, I got the chances to improve myself and learn new things… and that led me to become Microsoft Integration Most Valuable Professional (MVP) since January 2011. But most important there is nothing that can prepare you when someone that you don’t know reach to you and says "Thank you" it is priceless and makes me want to continue. Thanks a lot Sandro, great insights , this will surely benefit many. Feel Free to ask questions to Sandro in the comments!!!!!!! !